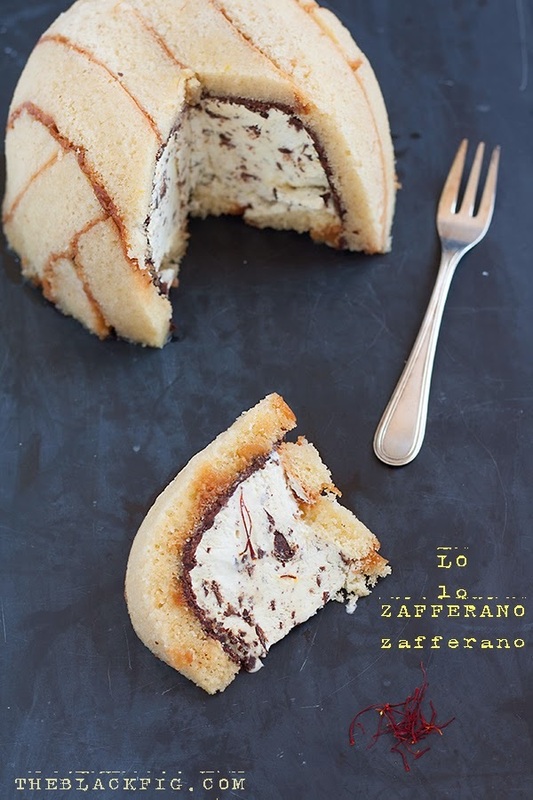 Zuccotto was one of the first Italian “semifreddi” or semi-frozen cakes. It was first made in Florence during the Renaissance. The Medici family loved to organize banquets to impress special guests with original and innovative food and they are credited with having created the first Zuccotto within this context. According to the Gelatieri Artigiani Fiorentini (an association for the promotion of artisan gelato) the original formula contained ricotta cheese, cocoa grains, citrus peel and Alchermes liquor. The recipe we’re sharing on Visit Tuscany was published in Italian by Francesca Fantoni on The Black Fig. As Francesca says, this recipe comes from a very famous pastry chef but contains an additional (special) ingredient: San Gimignano saffron, a famous DOP Tuscan product. Thanks Francesca! In a small saucepan over medium heat, dissolve sugar in water. Remove from heat and, when cool, add the liqueur syrup and mix. Brush the sponge cake with this liquor syrup. Dissolve 40 g of chocolate in a double bowl and cover the sponge cake. Fill the bowl lined with cake strips with the saffron cream, leaving 1cm to the border. Finish by covering with the last strip of sponge cake and brush them with some liquor syrup. Freeze the Zuccotto, and remove from freezer to room temperature at least 30 minutes before serving.